Great news...complete thematic concordance searches are now just a click away. The New Thematic Concordance is an extremely useful way to find 300 outlined concordance searches including 16,000 Scripture references. Imagine not having to know the exact word or words your favorite Bible translation uses to explore a topic such as affliction, and what the Bible says about consolation during times of affliction. Simply click the topic for “Affliction” and you have a virtually complete topical study in a matter of seconds. To see the New Thematic Concordance's search result for “Affliction” click on the excerpt button above. 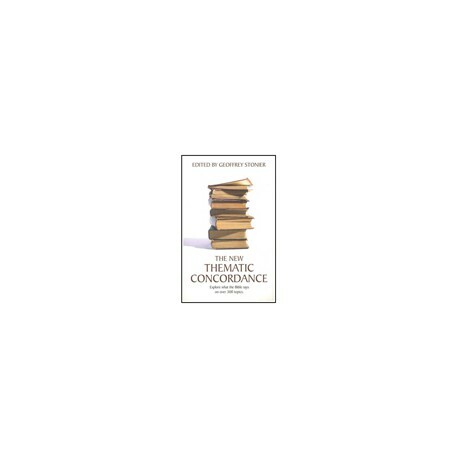 The New Thematic Concordance is a great time-saver for those questions regarding “what does the Bible say about…?” that can otherwise take a lot of hit-and-miss searching. You'll love how much time and effort this very cost-effective add-on will add to your program's capability.